Will my code keep running if I disconnect? Is .bashrc or .bash_profile called on startup? Fix an exception related to Sage’s Integer(…) vs. Python ints? How can I install Python packages from PyPI using pip? This page is all about programming your own software (C, Fortran, Java, Julia, Octave, R, etc.) from CoCalc. 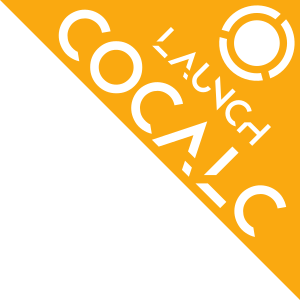 A highly related page is the FAQ for Utilizing External Tools from CoCalc. There is also a separate page about Jupyter Notebooks and Sage Worksheets. If you don’t find what you need, or if you’d like to ask a question, then please email help@cocalc.com at any time. We’d love to hear from you! Please include a link to any relevant project or document (copy and paste the URL address in your browser) as part of your email. Even if my computer is put to sleep? Or do I need to have a machine open in order for the process to run? You definitely do not need to have your computer awake, or a window open, for your project to keep working. However, this is controlled by something called an “idle timeout,” described in the next question. Under Project Settings (that’s the wrench icon) there is an entry under Project usage and quotas (left-hand side), which will tell you how long the process will run “in the background.” There is an idle timeout for each project, and it will be completely stopped (the technical term in UNIX is “killed”) if you don’t actively edit a file for that amount of time. The default for free projects is 30 minutes. You can increase this to 24 hours for only $14 per month. This means that if you use your project a little bit once per day, then it will never timeout. However, free projects have another limitation. A free project can be “killed” (stopped) at any time, whatsoever. This will happen at least once per day. You have to keep this in mind when designing your project. (For example, use checkpointing.) In contrast, all paid projects are immune to this issue. See also Project Upgrades. If I have code that has been running for a while, and it times out or is otherwise “killed” (see previous question), what happens to the output? If you are using a classical Jupyter notebook, then all output that is printed will be lost if no browser is viewing it. This is a major design flaw in Jupyter. CoCalc’s Jupyter implemenetation behaves much better! In contrast, Sage Worksheets will capture output even if no browser is observing them. You can also (of course) write to a file on disk, which might be preferable in some cases. Projects without “member hosting” upgrade can get restarted regularly (these are hosted on Google preemptible instances). You can check if a VM rebooted by typing “uptime”. If a project isn’t used (via the web-based UI) for the idle timeout (as listed in quotas), then all processes in that project are terminated and the user is removed (so ssh into the project also is not possible). You can pay to raise the idle timeout. See also What is an “idle timeout?”. ~/.bashrc is run on startup and ~/.bash_profile is not! Hence, use ~/.bashrc to customize your setup, and you can also use ~/.bash_aliases for your aliases (see ~/.bashrc). You can open up a terminal next to a code editor panel: Terminal Environment in Split Frame with File Editor. at any time to find out the current limit. By default, it is 40,000.
then it will be cut off somewhere in the middle of printing 152, because you need to count each digit, as well as the invisible “end of line” symbol. At the 501st character, the computation is stopped, and there is no more output. By default, Sage parses the input commands and replaces some elements with its own parts and also adds some syntactic sugar. For example, an integer like 234 is translated to Integer(234) in order to be more powerful and live as a part of Sage. To avoid this behaviour, either append an r to the number, like 234r (the extra r tells Sage to consider this as “raw” input) or change the mode of the cell to Python by adding %python at the top. You can also switch to pure Python mode by default via %default_mode python. Alternatively, you can type Integer=int and possibly also RealNumber=float. See this published worksheet for more details. Also, type sage_server. [tab key] to see information about other limitations. Then restart the worksheet server by going project settings and clicking “Restart → Worksheet server”. Now any newly (re-)started worksheet will run with the above modified SAGE_PATH. Since SAGE_PATH is added to PYTHONPATH when Sage starts, this does what you want. (From Nathan Dunfield) Another approach, which also works now and doesn’t require the custom $HOME/bin/sage, is to use <http://docs.python.org/2/install/#alternate-installation-the-user-scheme>. This location is searched automatically by Sage’s Python without any intervention on the part of the user. (However, you might have to restart the worksheet server to access newly installed modules from a worksheet.) One can also put modules into the user’s site-packages by hand and Sage will find them. Click +New, type a filename, then click the “Sage Worksheet” button. To evaluate code using Julia, begin the cell with %julia, type the code, then press shift+enter. Type %default_mode julia in a cell and press shift+enter; now all cells will be evaluated using Julia by default. If you need to switch back, use %default_mode sage (or %sage to just switch back for one cell). If your code is running in a CoCalc worksheet, then the global variable __SAGEWS__ will be defined. Type salvus. [tab key] to see the auto-complete list of functions or run dir(salvus). There is a lovely tutorial on the web to help you do exactly that: Sage Installation Guide. See the instructions, immediately below, on using a custom built-from-scratch copy of Sage. Just substitute your own .tar.gz file for the official build of Sage. This requires a upgraded project and takes hours! By default CoCalc projects have an idle timeout that is smaller. (see What is an “idle timeout?”) If you aren’t editing files in the project, your build will get killed part of the way through. If you’re doing legit Sage development, email THE LINK TO YOUR PROJECT to help@cocalc.com and we will increase the idle timeout, disk space, RAM, etc, so you can contribute to Sage. Open a Linux Terminal. Grab the source tarball (requires network access). You can browse files.sagemath.org to find recent releases and testing versions. cd; mkdir -p bin; cd bin; ln -s ~/sage-6.10/sage . Then restart your worksheet server (in project settings). Then for that project, you’ll have your own 100% customizable copy of Sage; and moreover, when the system-wide Sage is upgraded, your project isn’t impacted at all – that sort of stability is a major win for some people. This also uses little extra disk space in backups/snapshots, because of de-duplication. You can of course also install any custom packages you want into this copy of Sage. You can also help improve Sage: Developer Guide. If you want to do Sage development see How to develop for Sage using SageMath. Important: Whenever you change Python code installed in that copy of Sage, you may have to restart the worksheet server and any running worksheets. This is inconvenient, but is necessary because the worksheet server starts one copy of Sage, then forks off additional copies each time you open a new worksheet, which greatly reduces the time from when you open a worksheet until it actually starts computing things. With full network access enabled, you can download and compile Python 3 this way. Last line sets a symlink to make it your default! You need to run Plotly plots in CoCalc under the Plain Jupyter Server. For more information, see the Jupyter Classic / Modern page. See Configure a Jupyter kernel for my custom Anaconda environment. To evaluate code using R, begin the cell with %r, type the code, then press shift+enter. Type %default_mode r in a cell and press shift+enter; now all cells will be evaluated using R by default. If you need to switch back, use %default_mode sage. You can change it by typing it again. You can also create a file that ends with .m, and edit it. Then open an additional panel in the Frame Editor and change it to show a terminal and run the file right there. Click +New, type a filename ending in “.c”, e.g., foo.c, and click “Create File” (or just press return). Open a Linux Terminal by clicking +New, clicking “Command Line Terminal” (or typing a filename ending in .term), and type gcc foo.c -o foo. Finally, run the program by typing `./foo. Create a terminal and run javac HelloWorld.java to compile your program. Run java HelloWorld to see the output.